Cheese lovers can taste and buy more than 100 Canadian artisan cheeses at the Festival and sample Canadian wine, craft beer and cider, plus taste and buy artisanal foods. 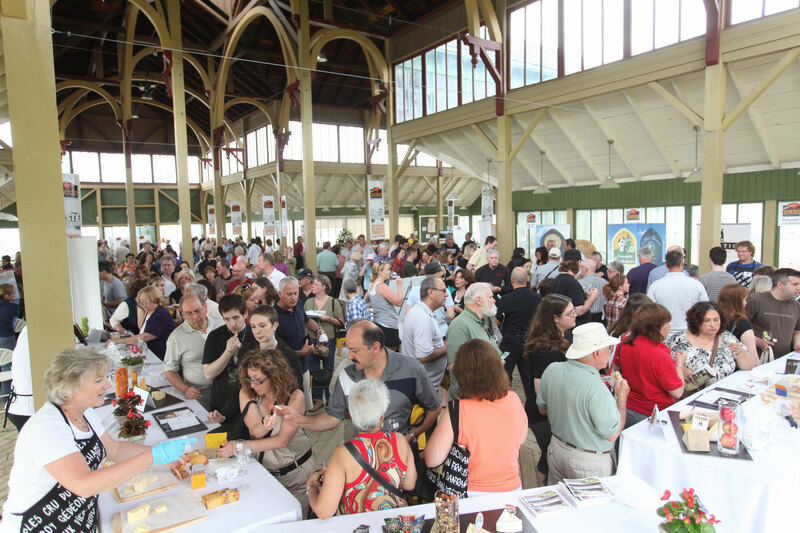 In less than three months, thousands of cheese lovers will be in heaven at the second annual Great Canadian Cheese Festival. It’s the one and only event in Canada whose chief objective is to promote Canadian cheese and cheesemakers and the consumption of Canadian artisan, farmstead and specialty cheese. Advance tickets are on sale online for the June 1-3 Festival in Picton, Prince Edward County, Ontario’s fastest-growing gastronomic destination. Space is limited so don’t delay in buying tickets. See the animals that produce milk for cheese at the Festival Dairy Farm. Try milking a cow! Learn to cook with artisan cheese at From the Farm Cooking School. Canadian artisan cheese—in all its delicious variations—is the primary focus of The Great Canadian Cheese Festival, but fine wine and craft beer are also featured, along with artisanal foods. It’s a win-win scenario for hundreds of producers and thousands of consumers. Additionally, a portion of the proceeds funds a scholarship for young Canadians pursuing a career in cheese. Only Canadian cheesemakers who turn the pure milk of Canadian cows, goats, sheep and water buffalo into cheese, using no modified milk ingredients (MMI), are invited to participate in the Festival. Cheese festival – hooray! That is a great idea. How about some craft beer with the cheese too? I really like that no modified milk is used in the cheese making!